The scaffold was hanging by its security cables when fire crews arrived at the building, on Cavendish near the corner of Kildare. 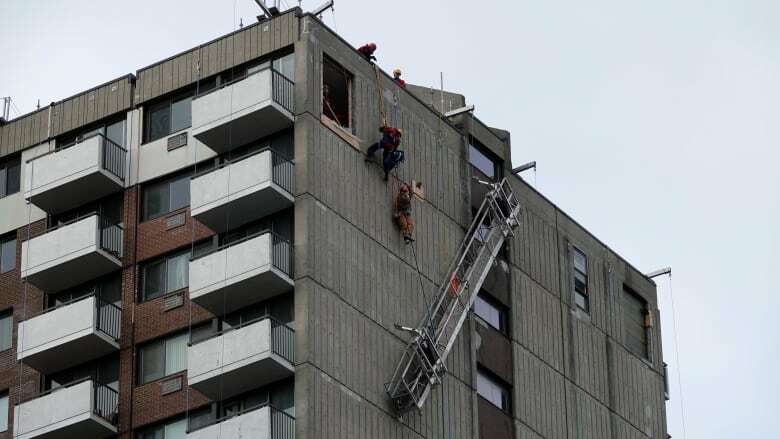 Montreal firefighters had to rescue workers on top of an apartment building on Cavendish Boulevard in Côte Saint-Luc this morning. The workers were standing on suspended scaffolding near the top of the building just before 8:30 a.m. 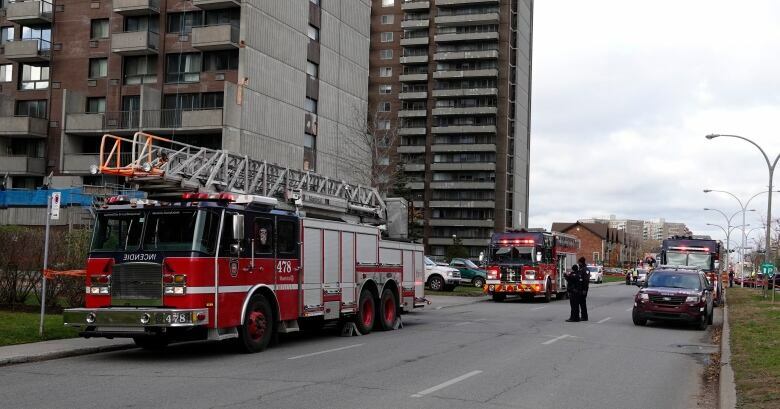 When fire crews arrived at the building, near the corner of Kildare Road, the scaffolding had given out and was hanging at a roughly 45-degree angle. The fire department says things are now under control.